Level 8 prepares the American Cane System student to test for the prestigious rank of 1st Degree Black Belt. As a black belt candidate, the student is both reminded of the importance for proper martial arts attitude and etiquette, but also for quality of technique in all 8 levels. 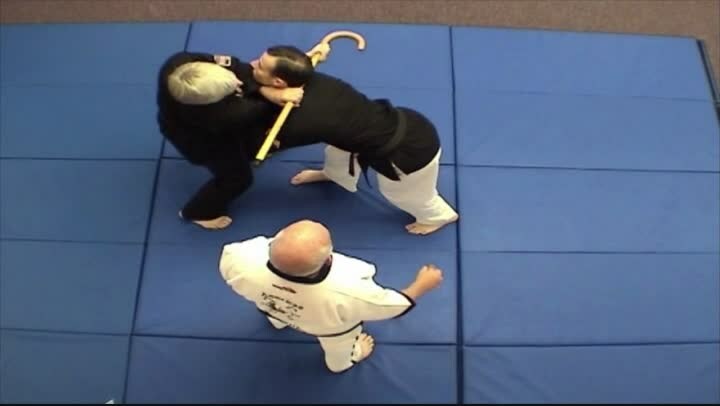 The video begins with a special introduction by Grandmaster Mark Shuey, Sr.. Those who earn 1st Degree black belt may have the opportunity to become certified American Cane System instructors.